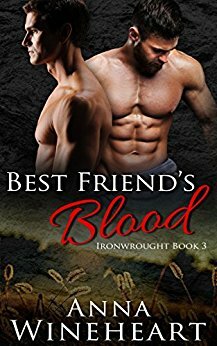 I’m a really big fan of Anna Wineheart’s Ironwrought series and I totally enjoyed reading this third book. „Best Friend’s Blood“ is a very sweet friends-to-lovers story with quite some angst. Mitch and Leo, the two main characters, are both very loveable and I felt immediatley connected to them and their story. I really like how we get a glimpse of the big main plot in every single novel and how the picture magnifies with every snippet of information the author grants us. I once again enjoyed a trip to the world of Ironwrought and can’t wait to get the next one in series!